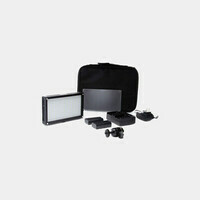 The Litepanels RM-F is a Ringlite Mini Daylight Balanced Flood on camera light kit. The Ringlite Mini is an on camera light featuring 72 LED lights; the element encircles the lens and offers a direct, soft, adjustable and innovative lighting capability. 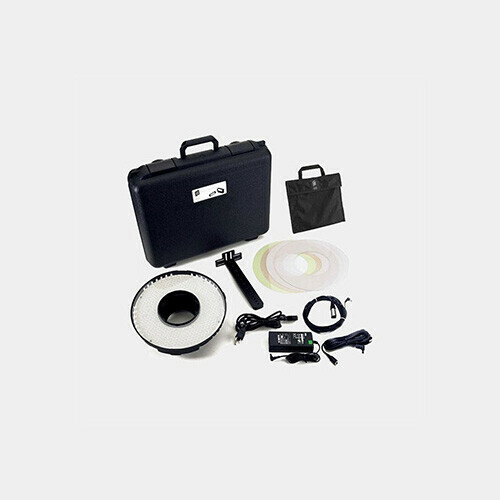 This light is 10.5" in diameter and is designed to work with professional film and video cameras. Ringlite controls lighting through three separate, adjustable circuits. Operators can select 24, 48 or the full 72 LED segments. 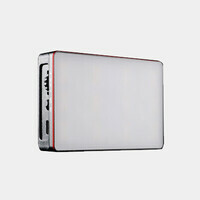 The system's ergonomic integrated dimmer control enables instant dimming from 100% to 0 with minimal shift in color. The highly illuminate LED system only draws 40 watts of power and offers three easy ways to interface with most popular film and video cameras. 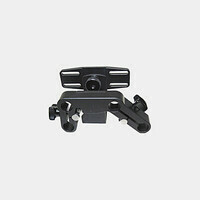 The adjustable Base Plate Mounting Bracket attaches the Ringlite-Mini to the bottom of the camera.